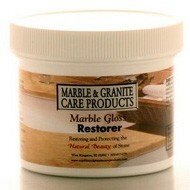 Marble Gloss Restorer is a premium blend of proprietary polishing powders and compounds which will bring back that brand new look to vanity tops, counter tops, bar tops, table tops, floors, walls, and showers. 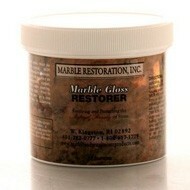 Marble Gloss Restorer Marble Polish - 4 oz. 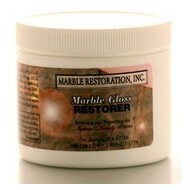 Marble Gloss Restorer Marble Polish - 8 oz.